An extra special well done to our finalists for the talent show: Molly, Ellie, Joshua and Louis, Mrs Wilkinson was so proud of you on Monday night. Well done Molly for being third in the competition. This week our celebration certificates were given to the children who did some amazing, creative homework. We are really enjoying the creative homework this year. Well done Vanessa, Aidan, Harry and Amira. Also Ali Sparkes class Mr Hart gave the girls who played footbal twice this week a celebration cretificate. I was really pleased with his positive comments after each day. A great victory on Friday too, well done Evie for your 4 goals. Welcome to our class, as a class we aim high, support each other to achieve our potential and enjoy a love of reading. We celebrate our differences, ensuring that each and every pupil feels valued and part of our team. Throughout our day we work collaboratively with others, thrive on a challenge and enjoy experiencing new learning. As a class we are proud of the support which we give each other, when work may be challenging and we need some support or just when we need someone to care. Our adults within the classroom are there to support everyone on their learning journey whilst at Mapplewell Primary. Year 6 booster classes are on a Wednesday and Thursday night until 4pm. During the afternoon we have enjoyed starting some art work, linked to a young boy who was sent to fight in World War 2. We have started to discuss the Blitz, first we heard an air-raid siren, so we hid under our desks imagining it was a Morrison shelter. Then we watched a range of documentaries about the blitz, it seemed to be such a terrifying experience. 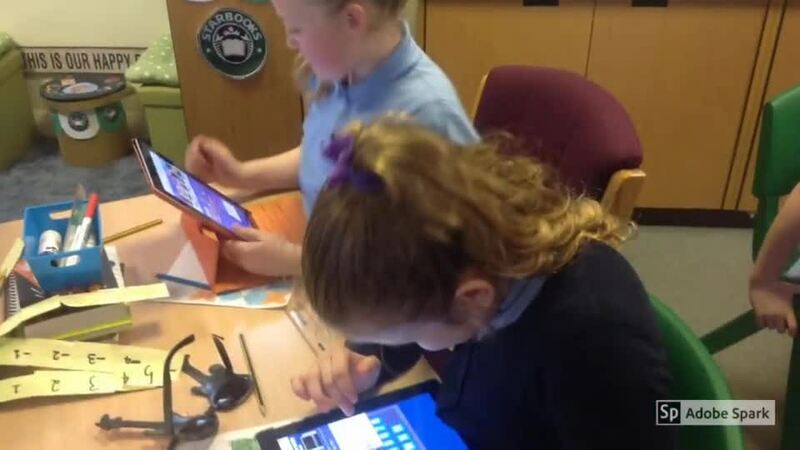 Together we started to collected our ideas about what we heard and saw, also using IPads we started finding out facts about the air-raids. We still need to finish our books off but we wanted to share our work so far. Each group made little gas mask cases to place our words and phrases on. During literacy we read extracts from the diary of Anne Frank. Gracie went straight to the library to borrow the book. Summer Term 1- Literacy - The war is here! The last two weeks we have been focusing on the book Goodnight Mister Tom, through our reading we have built a picture up of the two main characters Tom and William. We then focused on the declaration of war, imagining we were either a young 17 year old boy, a young child or a wife and mother. As we sat in our imaginary church, listening to the announcement we imagined how the characters would be feeling. Enjoy looking at some of our work. We started our work on fractions, decimals and percentages by converting improper fractions to mixed numbers, then doing mixed numbers to improper fractions. There has been lots of use of structured apparatus including pegboards, numicon and counters. Then we have introduced percentages, furthering our understanding of what percentages were and how they link to decimals and fractions. Several children played a domino game linking fractions, decimals and percentages they did find it tricky as they could not speak and needed to use their observation skills. Art work linked to literacy. Our literacy work links to World War Il, we have enjoyed developing art techniques linked to the use of watercolours and pencil sketches, to show the city at night during the blitz. Everyone loves finding out about the human body, we started with a knowledge map showing what we already know, then we discussed the pulse and the changes which happened during exercise. We discussed similarities and differences between humans and animals. Then we focused on why it is so important to exercise and how the brain works. Enjoy looking at some of our work. Our reading booster on the last week of the term was fantastic, our pupils worked together to read the text, clarify the meaning of words then answer questions together. They collaborated superbly, listened to others and argued their opinion. Keep up this hard work and you will continue to develop your confidence. We really enjoyed our homework project linked to Evacuation during World War 2, which linked to our current literacy work.There were so many creative ideas including: models, letters, posters and fact files. As a class it's great to see the imagination and enjoyment which we have put into our learning at home. Mrs Wilkinson is so proud of you effort and quality of your work, you certainly made your brains work overtime. Enjoy having a look at some of the work. Well done to every single pupil in our class who had the courage to perform in our talent show. We are so proud of your amazing talent. We also had some pupils who got through to the final at Darton College, well done to you four, we will look forward to seeing you in the finals. We also had lots of pupils who shared their sporting talents in our first sporting achievements assembly. Enjoy looking at the photographs below. We had such a busy week, our Year 5 pupils made our class proud in their amazind Easter assembly, we made some amazing Easter cards, took part in the Easter egg competition and finally we enjoyed our Easter egg hunt. Thank you Mrs Padfield. Her are a few photographs of our excellent Easter week. We really enjoyed making our Mother's Day cards, we hope you like them. We had some fun time on our snow day at school. Here are a few photographs and some wonderful descriptive writing and art work will follow. Our whole school assembly with Mrs Padfield was all about friendships. Mrs Padfield set each class a question to discuss in circle time, we had to think about what friendship really means and what makes a good friendship. Our class started our circle time with a game which involved working together as a team. We believe that friendship is all about teamwork, supporting and encouraging each other. There will be times when things go wrong, but a true friendship will always find a solution. . Enjoy looking at our photographs, more video clips and work will follow. Today as a class we started our work linked to World Science week, we are looking forward to sharing our work with you during the week. WIt's Sunday evening and our classes new book, by our class author, has finally arrived. Mrs Wilkinson is going to enjoy reading the first chapter tonight, before sharing it with the class during the week. It sounds like a real thriller. Our Class author, Ali Sparkes, has a new book out this week. 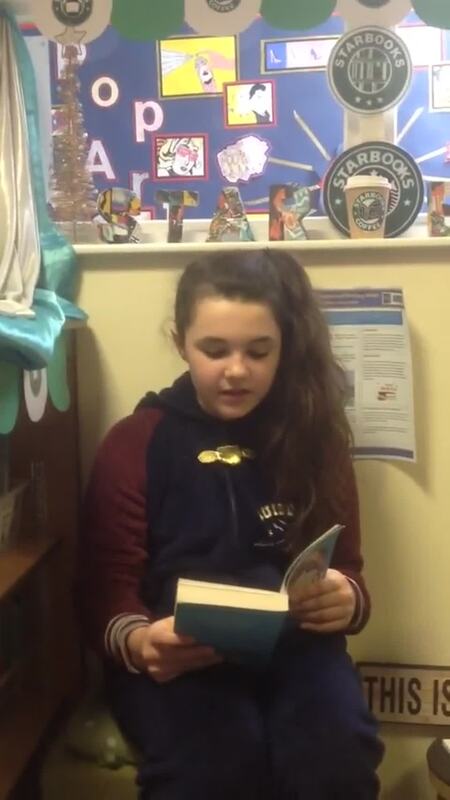 We will be sharing her book trailer on Monday and believe me it is a real thriller. Mrs Wilkinson is really looking forward to the book arriving on her doorstep soon, so she can share it with the class. Here is a short summary of the story to tempt you to read it; knowing our class someone will have already bought it. Night after night Elena, Matt, and Tima wake at exactly the same time, with no idea why. It's messing them up and fracturing their lives . . . until they venture out into the dark and find each other. And then the sleepless trio realize their astounding power - they can speak any language; they can even communicate with animals. The wait is finally over, here is the book we've been looking forward to for so long. 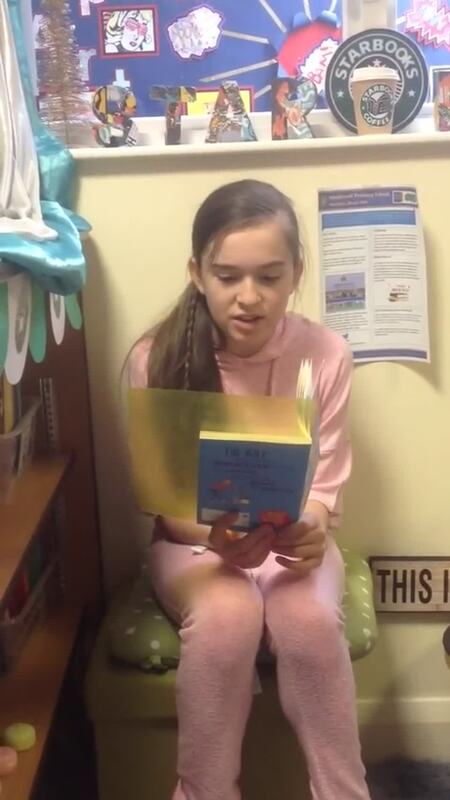 During the time which we have been in our new class, we have been developing reading for pleasure. We enjoy sharing new books and recommending books to other pupils within our class. As a class we have been introduced to many new authors, watched many book trailers and video links. 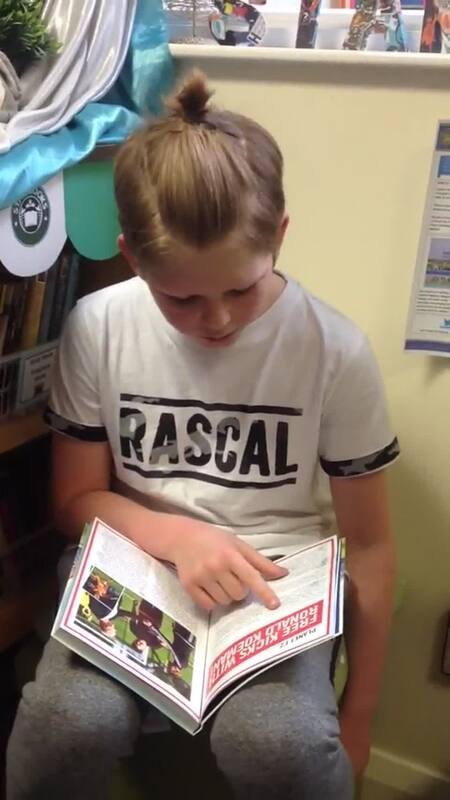 It's been wonderful to see how many pupils within our class have rushed out and bought books by current authors. We look forward each week to find out about new book releases, which take us on a journey to many magical places and develop our awareness of different issues which people face on a daily basis. Straight away when you enter through the door, your imagination is sparked with many of our favourite books, then you can sit and enjoy reading them in our Starbook Café. Our river themed art work links to our reading river journey. During the last two terms we've taken a journey down our reading river, experiencing many new adventures along the way. What as your favourite book been? Our class have some amazing artists, who really take pride in their work, developing new techniques using a range of materials. Since starting in July 2017 we have developed shading techniques, use of watercolours and pastels. Keep watching for new pieces of art added during the next half term. Year 6 have started their work linked to plants. This was their first lesson,where they focused on parts of plants. More work will follow soon. Our science working wall linked to plants is starting to develop. In our class we have a reward jar, just like every class in school. We earn rewards by working hard, showing enthusiasm towards our learning or for showing that we care and respect others. when our jar is full we have reward time. Spring 2-Week 3 - We decided to enjoy a milkshake and biscuit in our Starbooks cafe whilst reading our books. We started our work linked to a Evacuees with lots of discussion work and drama work, focusing on our thoughts and empathy towards individuals who were evacuated during World War 2. During our drama work we imagined we were members of a community who were deciding whether our children were to be evacuated. We then starting to put forward our ideas for and against evacuation, we planned our balanced argument then started to write our first paragraph. Some pupils worked really well together doing peer-assessment to see how they could improve their work. During the day we really enjoyed making our potato heads and reading the opening to our books. We chilled, read our books and enjoyed listening to the first chapter of the book, Night speakers by Ali Sparkes. Literacy - Show not tell. In literacy we have started looking at developing our descriptions of characters through showing characters feelings rather than saying how they feel. Enjoy looking at our group work and acting from Joshua and Levi. thought about up-levelling our sentences, using a sentence spiral and finally writing our descriptions. As part of our learning we started to build sentences, recording them on notes within seesaw app. Our day was enjoyed by everyone, some fantastic team work, discussions and investigational learning. Here are a few photographs of a very enjoyable day. 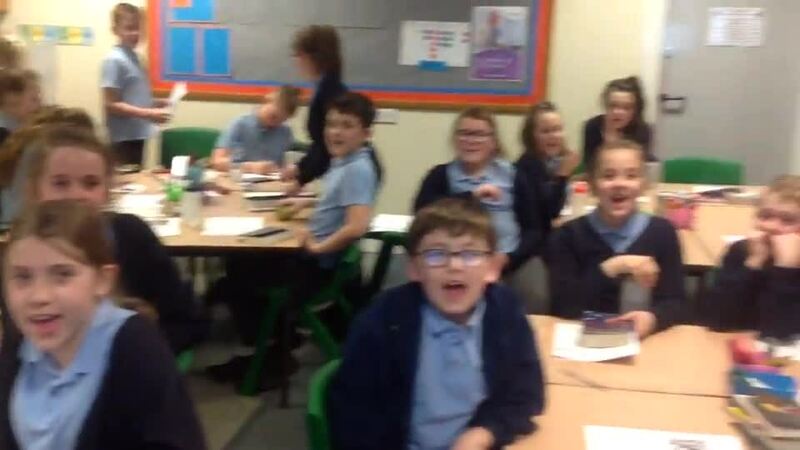 We all enjoyed our re-launch go TTRockstars in our assembly this morning. We definitely were rockstars today. During the afternoon we battled against people in our class and around the world. 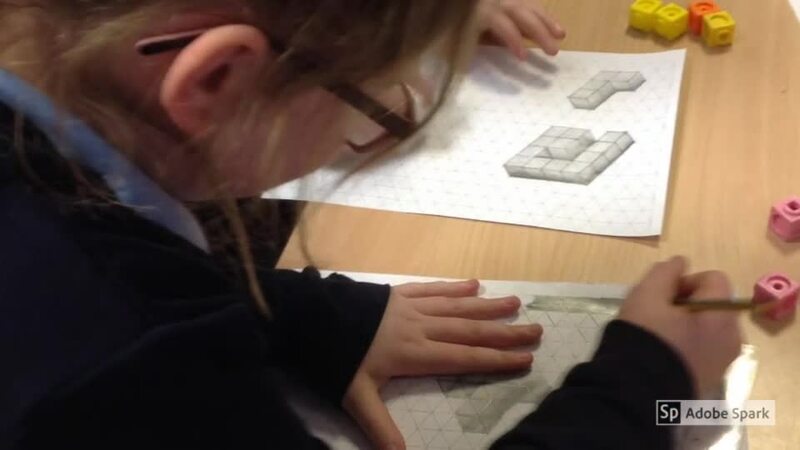 On Friday afternoon all our Year 6 enjoyed drawing 3D models made of cubes. They focusedh on shading and using isometric paper. Some of you also started to try to do rotation and translation of shapes, what a great start you made. Enjoy looking at your photographs below. In our new maths group today we started working on developing our logical thinking and explaining our reasoning behind choices. Our work was based around a set of digit cards which we needed to sort to satisfy different statements. It really challenged our mathematical thinking and reasoning, as well as needing resilience. We will add our solutions in the next few days to a range of our problems which we will be doing this week. As part of our topic, we were given a letter about an expedition to the Antarctic, we located the continents and thought about which continents we would fly over to the Antarctic. We then researched what we would need to take on our journey and the Year 5's produced their own information booklet. Our class have PE with Mr Strafford on a Monday afternoon, they need to bring their full PE kit. Please remember to bring your water bottle everyday to keep you hydrated. We would like you to try to read daily at home and enjoy sharing the books you are reading with your family and friends. Year 6 SATS take place on week commencing Monday 14th May 2018. Further information will follow. We love to read, so enjoy a book every night. When you have finished your book, write a book review and share with our class. 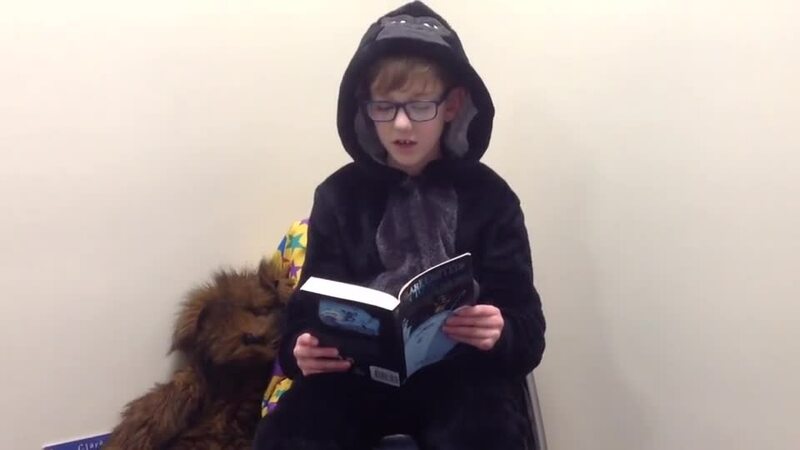 Maybe you will inspire other pupils to read your book. 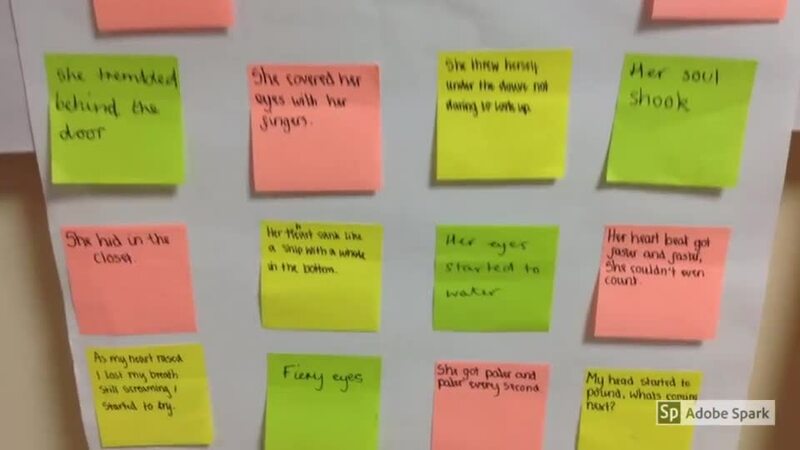 Each week collect some excellent vocabulary from your books to share and use in class. Ensure that you understand the meaning of each of your words. Further homework will be added soon.